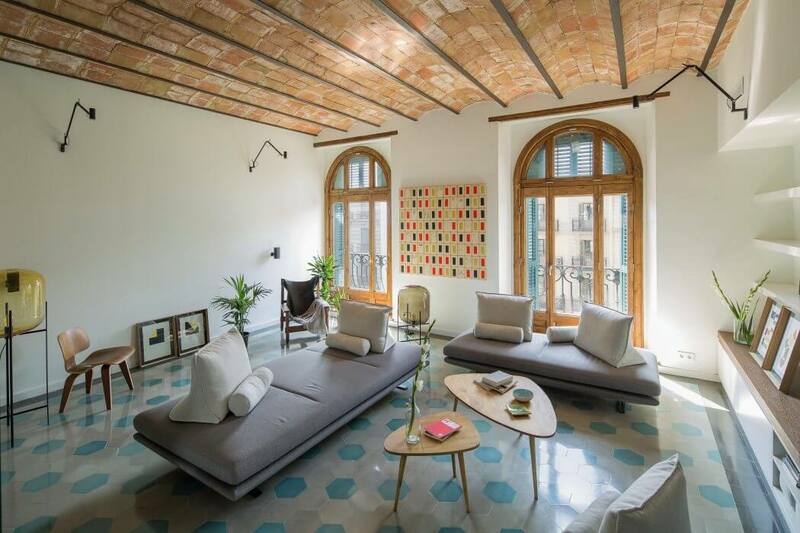 Situated in Placa Catalunya in the heart of Barcelona, Spain, this transitional apartment has the best balcony view of the city’s multifaceted beauty. 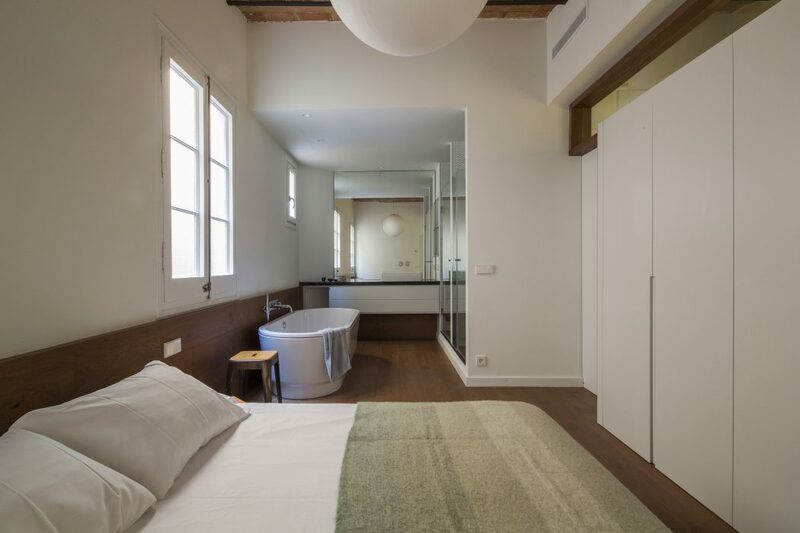 Developed by Nook Architects, the project was designed to have a spacious dwelling for the main occupant and his guests during his infrequent visits to the city. 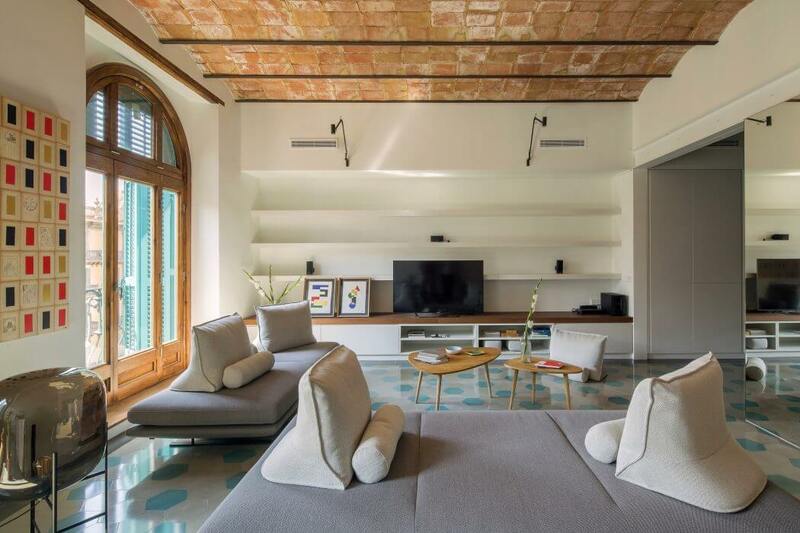 Ten huge windows spread throughout the apartment to bring natural light inside. The walls and ceilings are treated with pastel toned Venetian plaster. 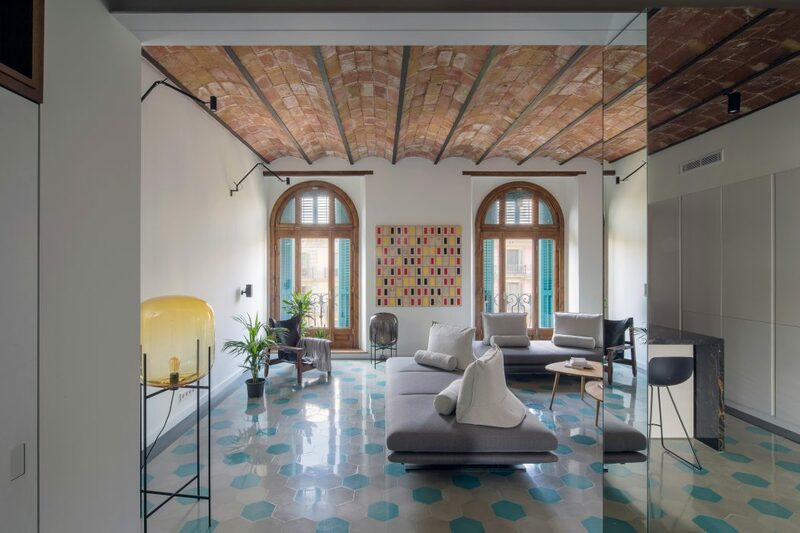 The hallways and walls are covered with mirror panels to give the illusion of a larger space while the vaulted, ceramic slabs and iron beams in the ceilings make for a unique design. 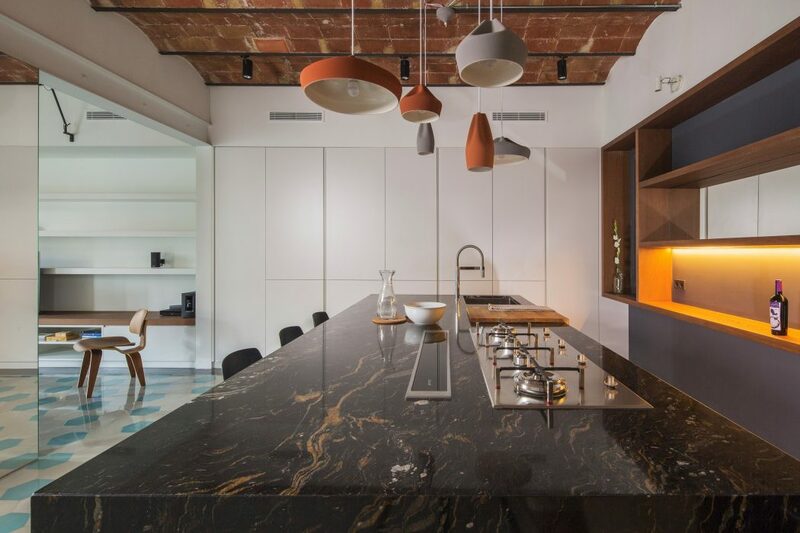 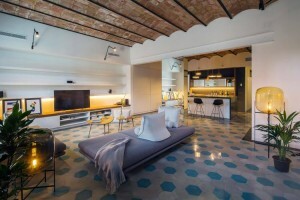 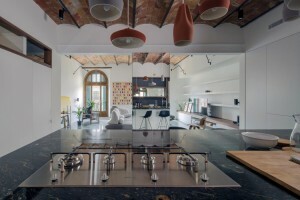 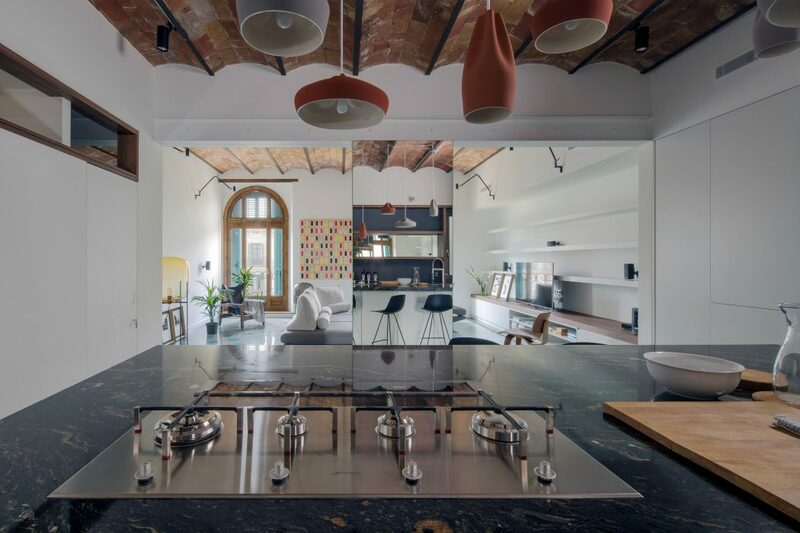 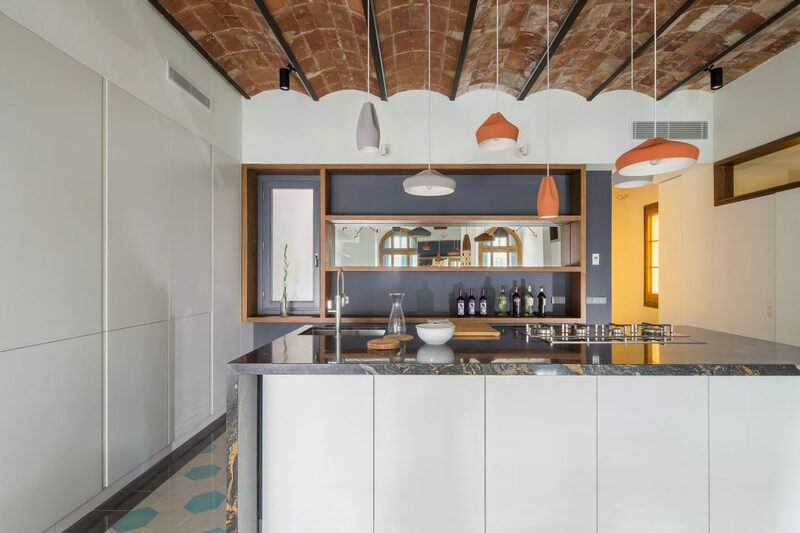 The apartment highlights its main kitchen which was designed more of a gastro bar where guests can enjoy sipping their favorite wine from the owner’s 600 bottle collection. 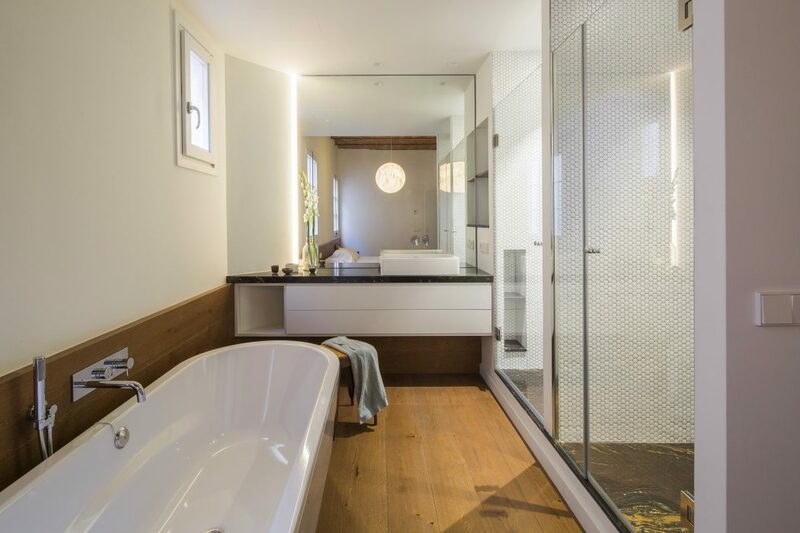 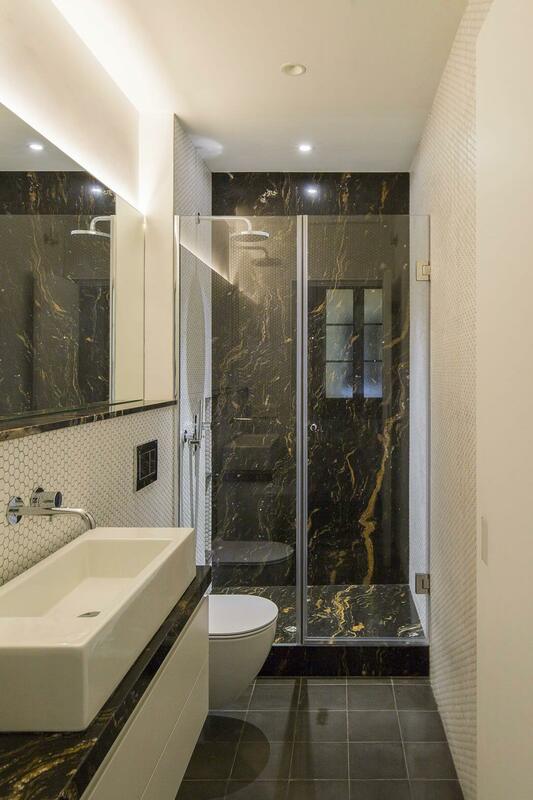 The main bedroom has an en-suite bath, and opens to a lovely patio. Simple and functional, this transitional apartment is definitely a home away from home.